Led by this father and son team with over 70 years of combined experience! Harwell Fencing & Gates transforms environments through innovative outdoor installations to provide our customers with peace of mind and beauty for their home. We deliver an astonishing customer experience through clear communication, engaged collaboration, and use of the highest quality materials and practices. Our teams are Fun, Creative and Professional! 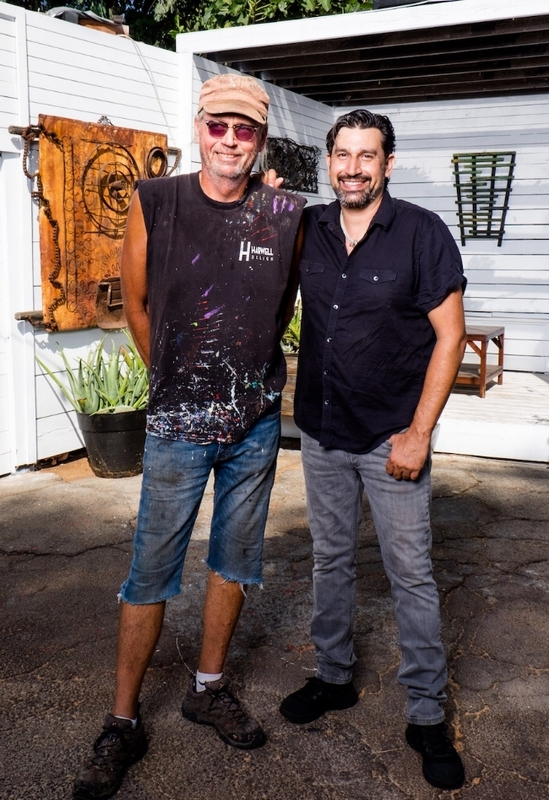 Since 1986, this father and son team has been working together as an artistic, family duo who is constantly raising the bar on what it means to be creative. Starting out with furniture. 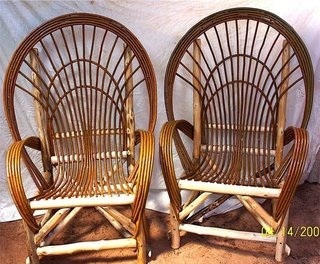 Custom, Rustic Furniture that many people were searching for because everything else has been done before. Jake and Arian built all of this rustic furniture in a small workshop, located right on the side of Highway 68 in Rinconada, NM. Proud to be working as a Father and Son Team for over 30 years. Together they have over 70 years of combined experience as custom woodworkers and high end craftsmen. (20 miles south of Taos, New Mexico) The workshop was known as the Dirt Floor Gallery - Located in Rinconada, NM - Just outside of Dixon, NM - An Artistic, agricultural town...known for it’s beautiful apple orchards, pottery, jewelers, builders and a couple of amazing wineries. After doing a lot of the same rustic furniture pieces, around 1990, this little New Mexican furniture-building business incorporated fence building into their product line. Also adding gates, arbors and trellises. This changed the course of the entire company and was very successful for many years, prior to moving to LA. These willow and Aspen fences and gates are also built with accents of reclaimed wood as well. THIS IS THE CUSTOM BAR AND SPEAKER ENCLOSURE THAT WE DESIGNED AND BUILT FOR WILL SMITH. —Fred Armisen - From Saturday Night Live - the Netflix show Portlandia, + numerous movies! How can we assist you in the beautification of your yard? Our design consultation and our awesome showroom provides an experience that takes care of our client's needs. In November 2013, this team acquired a fantastic location. 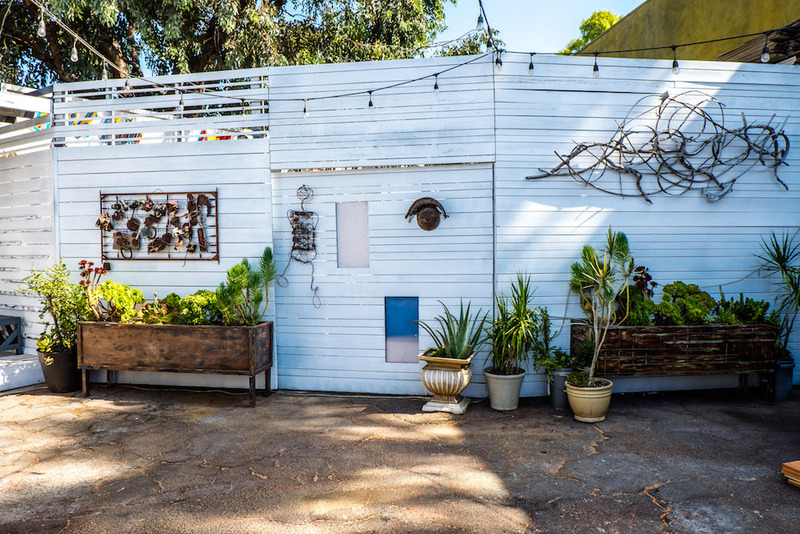 The Harwell Studio is a 7500 square foot space, just outside of Culver City. Here, clients can view different stain colors and design patterns and also create their vision. At this location, our clients are consistently taken care of when it comes to the final stain/color choices and design ideas that everyone goes though when hiring a fence contractor. This is usually a missed step when consumers hire a fence builder in Los Angeles. We are fortunate to have this pace to offer the client a first hand look at what they will receive when they hire us. The craftsmanship and details are on display and you will see exactly what you receive, when you hire this unique and artistic design company. You get a designer and a fence contractor in 1 great company, when you hire Harwell Fencing & Gates. Our job, is to help you create what is possible in your environment and not have it just be functional, but provide amazing additions to your yard and your entire property. As you will see from the photos on this website, the finish work is what sets Harwell apart from other fence companies. The finishing details are what you see every day, and there is nobody who does it better than the highly skilled team at Harwell Fencing & Gates. The process of building is done in such a way that all of the products not only look beautiful upon completion, but the final product will continue looking good and the structure will outlast most of the competition's work. Along with being a wood craftsman for over 45 years, Jake Harwell has also been an artist for many years. He has a unique style of art using many types of material. He was fortunate to have featured shows in Paris and the Outsider Art Show in Soho New Your. As far as unique materials he used for art, the Taos Drum Factory was not far from the workshop. Jake started recycling all of their flawed pieces of rawhide and developed some seriously original masks and sculpture. Living in the mountains, Jake would also travel up the abandoned dirt roads to pick up rusty objects such as old mattress springs, car seats, televisions and hub caps. Jake has made 100s of found art masks, sculptures and paintings over the years.